Ahvaz is located in the south western of Iran and on the bank of famous Karoun river. The river divides the city into two western and eastern parts and seven bridges connect these two districts. The city has an extremely hot weather in summers and is nominated as the most polluted city in the world by the world health organization. 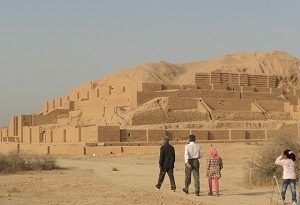 Chogha Zanbil is the first site that was inscribed in the list of UNESCO world heritage and the world’s oldest ziggurat with a unique architecture that has been kept very well. 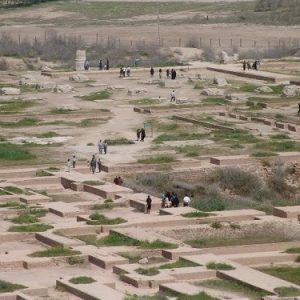 This complex was built by the great king if Elam for praising the guard of susa city.i.e. Insusinak in 1250 BC . Firstly, its height was 52 meters and 5 floors but now just 2 and a half has been remained. 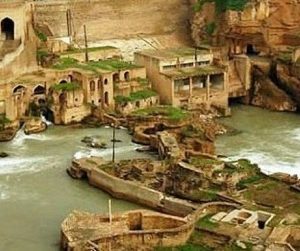 Shushtar is one of cities of Khuzestan province that is located in the foothills of Zagros mountain range and 92 km of Ahvaz. There are some natural, cultural and historical attractions in this town but its Historical Hydraulic System has a worldwide reputation. It was inscribed in UNESCO world heritage site in 2009. 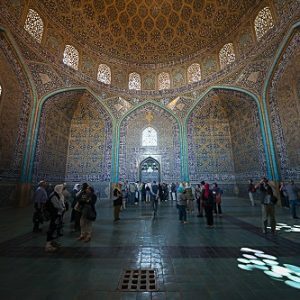 Dariush the great built it in 5th century BC and still use it for providing water for Shushtar . There are some other attractions near it such as Salasel castle , the tower and etc.